Doga Day for Charity is coming up fast on August 6th!!! This entry was posted in Boulder Beat and tagged bali yoga retreat, black lab, boulder, boulder humane, canine event, canine events, charity, charity events, Chicago Canine Rescue, dog, Dog Park, dog walking, dog yoga, doga, dogs, Franchise opportunity, french bulldog, fun, fundraiser, funny, Get Together, humane society, humane society of boulder valley, lab, love, off leash, outdoor, pet sitting business, puppies, puppy, steph schwartz, yellow lab, yoga, yoga studio on July 26, 2011 by Allie. Out-U-Go! Boulder is thrilled to help our friends down the road at Out-U-Go! Denver host a booth at this year’s Highlands Street Fair! Held annually in the heart of NW Denver, the Highlands Street Fair has booths from hundreds of local businesses as well as 3 stages for music, food, drinks, dogs and fun. Stop by our tent to say hello, enter our raffle and let us pass out tasty treats to your pup(s). We are looking forward to our second year in a row at this awesome event! The Highlands Street Fair is taking place all day long on Saturday, June 18th. The street fair will be up and down 32nd Street in the Highlands in NW Denver. You can find out more about the entire event here http://www.highlands-square.com/StreetFair/index.htm. This entry was posted in Boulder Beat and tagged 32nd Street, black lab, boulder, Denver Highlands, Dog Park, dog walking, Franchise opportunity, french bulldog, fun, funny, Get Together, Highlands Street Fair, loose leash walking, north west denver, northwest denver, NW Denver, outdoor events, Pet Industry, pet sitting, pet sitting business, poop, street fair, yellow lab on June 11, 2011 by Allie. We are thrilled to announce an AWESOME fundraiser for a great cause! Out-U-Go! and Boulder’s Natural Animal are teaming up to co-host a fun, furry and hilarious event to help raise money for human and pet relief efforts in Japan following the devastating earthquake and tsunami. 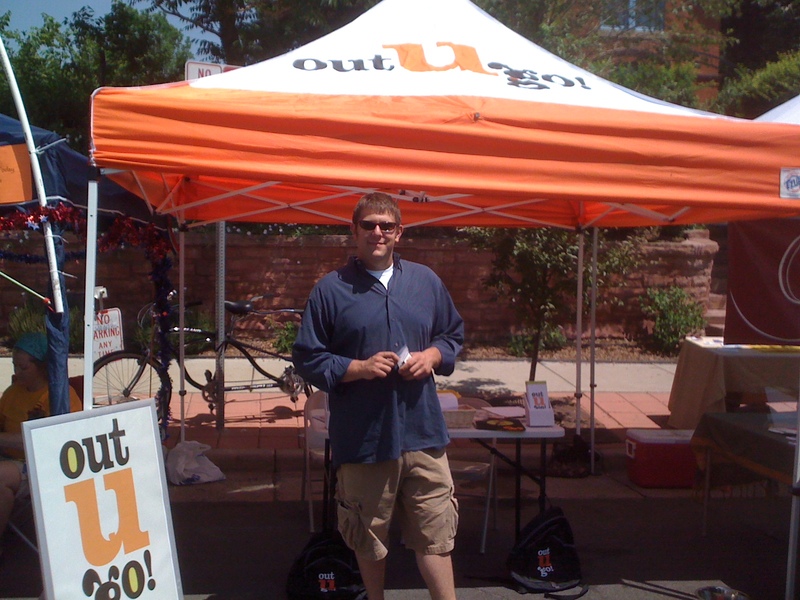 With the help of many other local Boulder businesses, Out-U-G0! and Boulder’s Natural Animal are organizing a Pampered Pooch Spaw Day on April 16th, 2011 from 1:00pm – 4:00pm. This event will take place outside of Boulder’ Natural Animal in South Boulder. Bring your best, furry friend and come join us for an afternoon of fun times, tasty treats (for humans and pets), doggy massages, doggy pedicures, doggy nail painting, ice cream, food from the grill, music, laughs and an all around dog gone good time. A $5 entrance ticket gets you and your pooch full access to our doggy “spaw” and all proceeds will be donated equally to the Red Cross for human help and to World Vets to help the animals affected. What’s more, Out-U-Go! and Boulder’s Natural Animal will be matching all donations dollar for dollar!!! This entry was posted in Boulder Beat and tagged black lab, boulder, Chicago Canine Rescue, colorado, Dog Park, dog walking, french bulldog, fun, funny, Get Together, Info, love, pet sitting, pet sitting business, Summer, vacation, vet on April 1, 2011 by Allie. A Tail Waggin’ Get Together!! Saturday’s a comin’ and we’ve got a fun Out-U-Go! event planned in celebration of yet another beautiful Colorado March day. We’ll be hosting a SUPER DUPER FUN get together for pups and humans (and kitties if they feel up to it…) at the Berkeley Dog Park this Saturday, March 12th at 10am!! 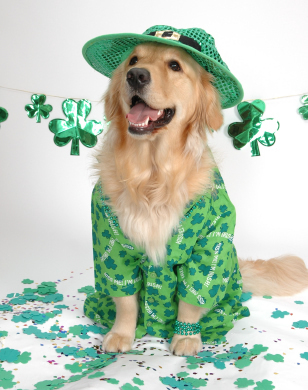 We’ll have our own St. Patrick’s day parade (our colors are green and orange after all) so don’t be afraid to get a little silly and show your Irish pride! And we’ll be sure to bring plenty of treats for our furry friends and their pet parents. Don’t miss out on the fun! The Berkeley Dog Park is located off of Sheridan and 46th Avenue in the Highlands. This entry was posted in Denver Dogs and tagged Dog Park, Get Together, Info, St. Patrick's Day on March 10, 2011 by admin.